WSFA 12 News, along with several staff members, took home awards after the 2019 ABBY Awards. BIRMINGHAM, AL (WSFA) - WSFA 12 News, along with several staff members, took home awards after the 2019 ABBY Awards. Reporter Jennifer Horton and Chief Photographer Andre Morgan won the award for Best TV Investigation. The pair won this award for an investigation into the Alabama Parole Board and the early release of violent criminals. Reporter Morgan Young took home three awards, for Best Reporter, Best News Feature, and the Judges Award of Merit. Young won the merit award for her special report, “The Greatest Barrier: Poverty vs. Education,” and she won the best news feature award for her reporting of Montgomery Public Schools’ accreditation review. 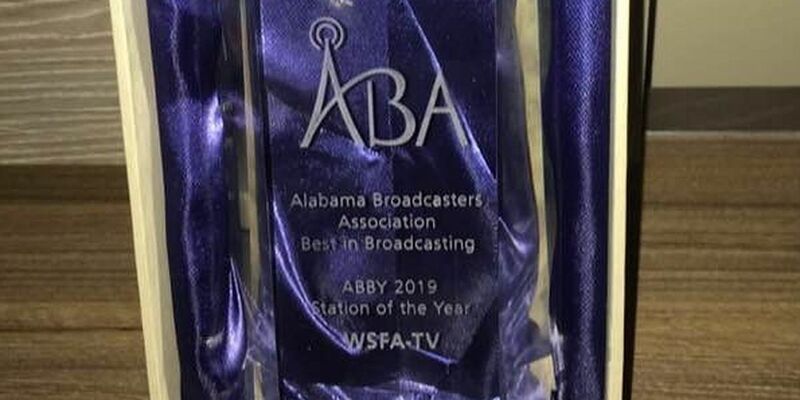 This is the third time in the last eight years WSFA has won the state’s top ABBY for TV Station of the Year, with the station earning the honor in 2011 and 2013. Alabama broadcasters across the state attended the thirteenth annual Alabama Broadcasters Association’s “Best in Broadcasting Awards” in Birmingham. See all the stations and journalists honored Saturday night.